Zimmermann HZ 185 grand: The “head” of the Zimmermann family boasts a powerful voice and robust workmanship. The Zimmermann HZ 185 is exactly the right choice if you’re looking for a mid-sized piano with a powerful voice that offers European quality at an affordable price. With its comfortable touch, good dynamics and surprising sound volume, the Zimmermann HZ 185 grand piano seduces even accomplished and discriminating pianists. 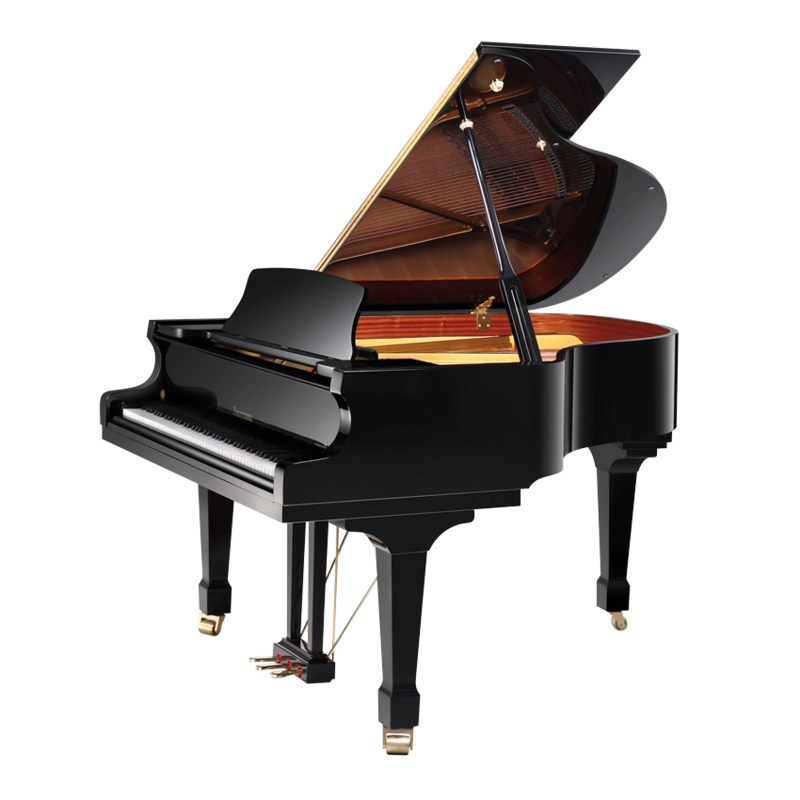 Made exclusively of carefully processed materials, the Zimmermann HR 185 grand — like all pianos of the Zimmermann brand — is built to the high technical and aesthetic requirements of the Bechstein quality management procedure. This procedure guarantees constant quality, measured by European criteria, and sets new standards. The result is an affordably priced instrument that boasts a stunting acoustic quality and fully deserves the “designed by Bechstein” label. The Zimmermann HZ 185 grand piano stands out as a true alternative to second-hand instruments.